Valencia College’s School of Arts and Entertainment will again welcome three widely-acclaimed master guitarists to perform in the annual spring semester concert series. All concerts are free and open to the public and will begin at 7:30 p.m. in the Performing Arts Center at Valencia College’s East Campus, located at 701 N. Econlockhatchee Trail. The series begins on Monday, Feb. 25 with Cuban-born guitarist Rafael Padrón. Classically trained at the National School of Art in Havana and the Advanced Institute of Art in Havana, Padrón has performed and held teaching posts across Latin America and the United States. He is the current chair of the guitar program at the University of Miami. The series continues on Thursday, Feb. 28 with Alex De Grassi, a Grammy-nominated acoustic guitarist revered for his intricate finger-picking style. On Friday, March 1, Adam Rafferty, a guitarist of eclectic influence, brings the series to a close with a crowd-pleasing blend of jazz, funk and pop. Following decades of live performance with industry heavyweights, Rafferty has racked up millions of views on YouTube with virtuosic playing and tutorials. Special to this year’s series will be a live performance by Valencia College guitar program instructors, as faculty members Troy Gifford, Chris Belt and Sam Desmet will take the stage on Wednesday, Feb. 27. Although the concerts in this series are free, tickets are required for admission. To reserve a free ticket, please visit the Valencia College events calendar or call the box office at (407) 582-2900. 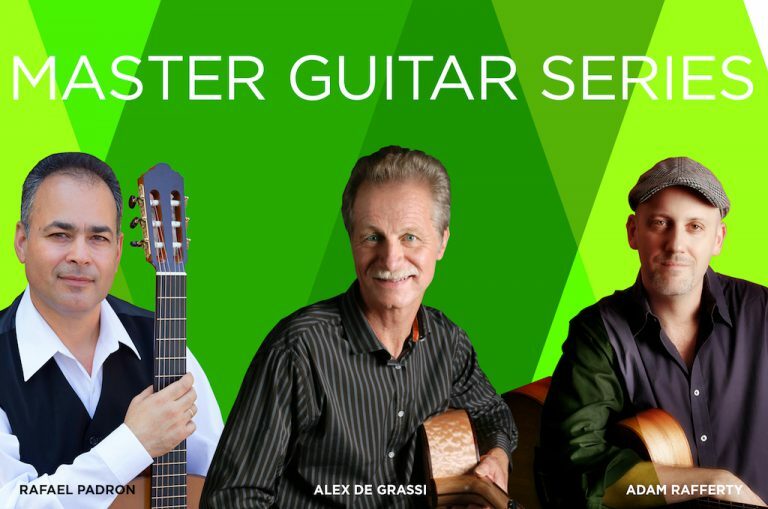 More information can be found at the Valencia College’s Master Guitarist Series page. TICKETS: Free and open to the public. However, attendees must RSVP in advance.